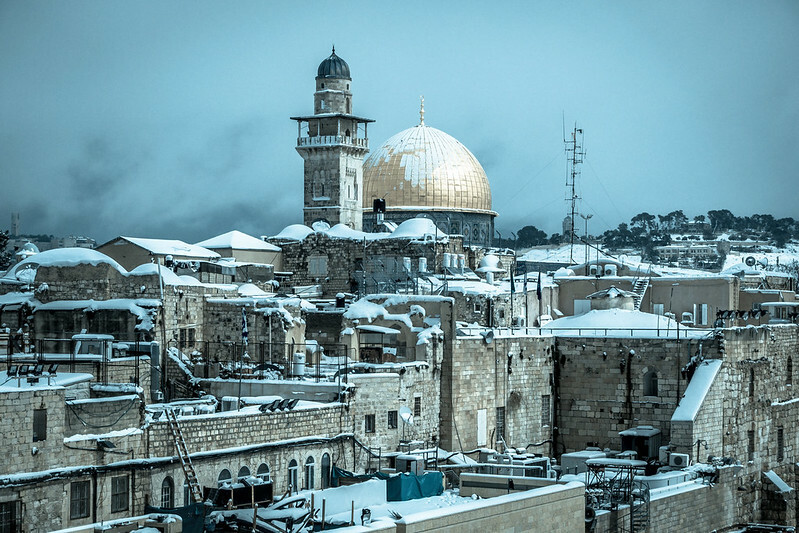 Flickr member Jozsef Kovacs posted this fantastic urban landscape of Jerusalem with snow on roofs, taken with his Sony RX100 III. 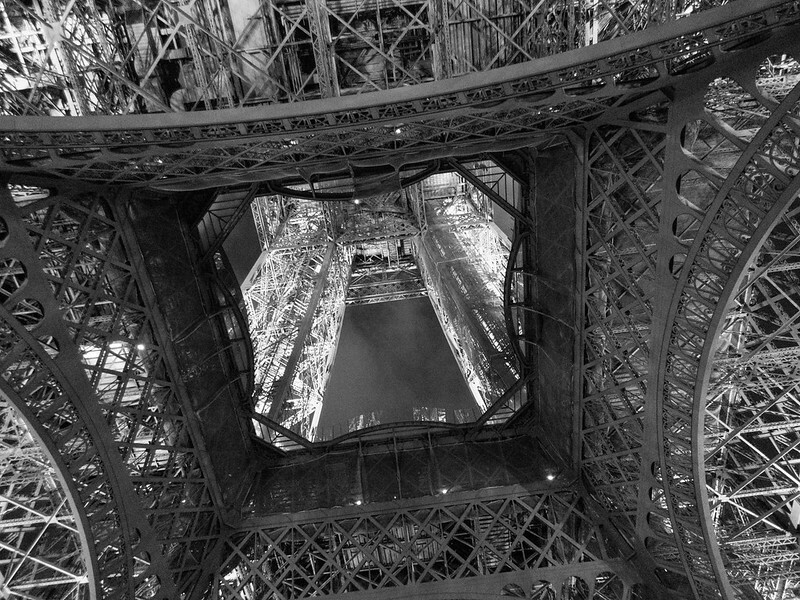 Flickr member nanagoh shot this dramatic image looking up from under the Eiffel Tower with her Sony RX100 III. 24mm is a huge help in adding drama to this image. 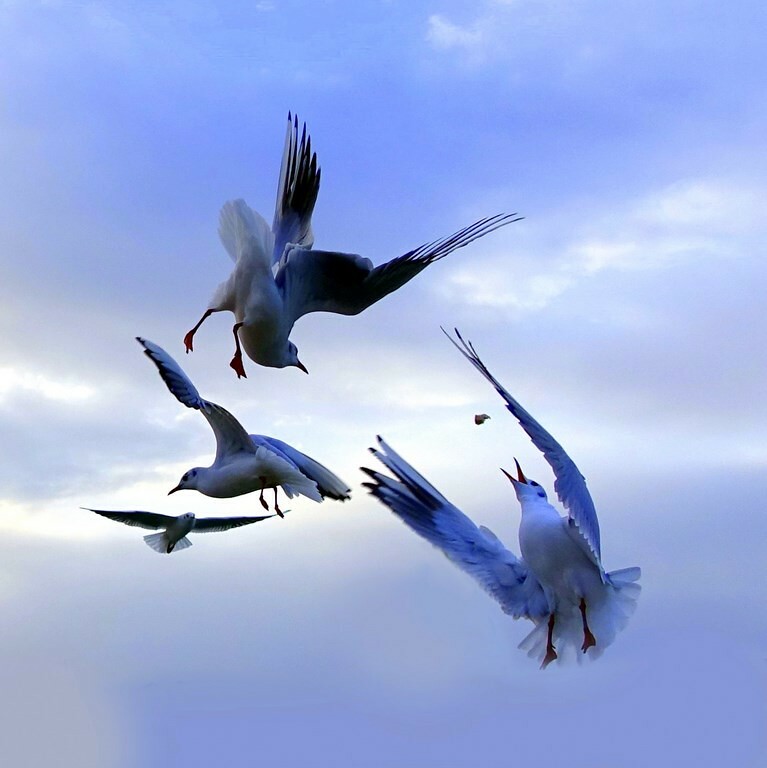 Flickr member Coline Kiene caught this amazing aerial image of seagulls going for tossed food with her Sony RX100 III. Wow, it’s an amazing shot to get with any camera but the Sony RX100 is such a slow beast I’m doubly impressed. Flickr member Marjan van de Pol took these fantastic shots of the Sheikh Zayed Grand Mosque, in Abu Dhabi, United Arab Emirates with his Sony RX100 III. What an incredible piece of architecture. More on it at Wikipedia: Sheikh Zayed Mosque. 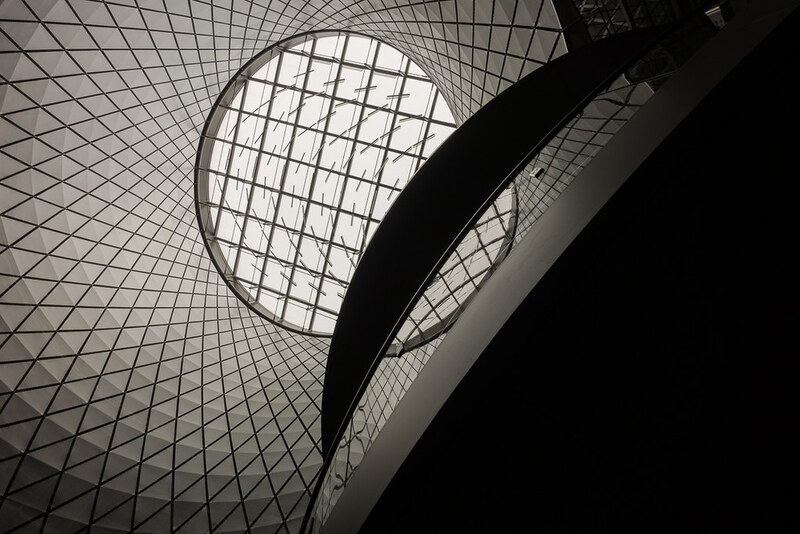 This is one of many images I recently shot of the Fulton Center subway hub in lower Manhattan. This is yet another shot from under the circular staircase. The right side is a reflection of the rotunda on the glass outer wall of the staircase. 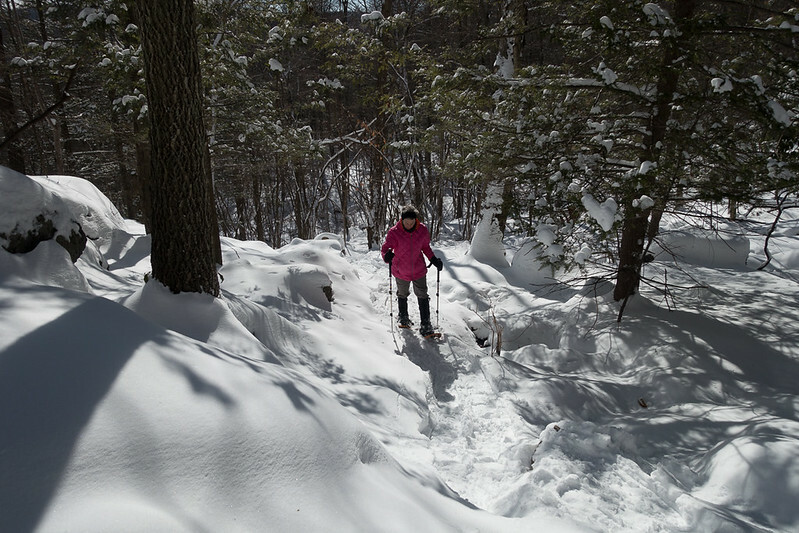 My wife swore she’d never hike in the snow or go snowshoeing. But, over the past year she’s been hiking a lot in this great place right down the road from our house. 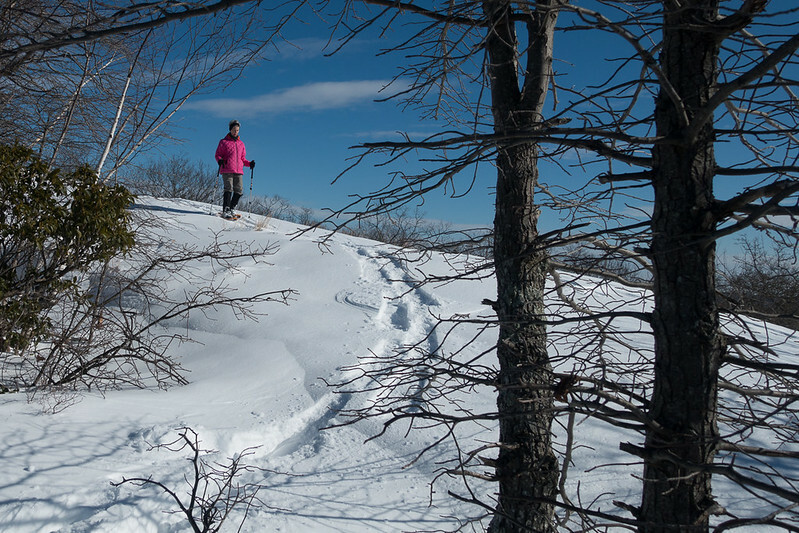 So, what better way to get her to experiment with snowshoeing than to do it at a familiar place. I figured we’d walk around the hayfield there but we made it all the way to the top. Not a long hike and one she’s done dozens of times before, but in snow it’s a bit tougher. She did very well and I hope she’ll continue with this. 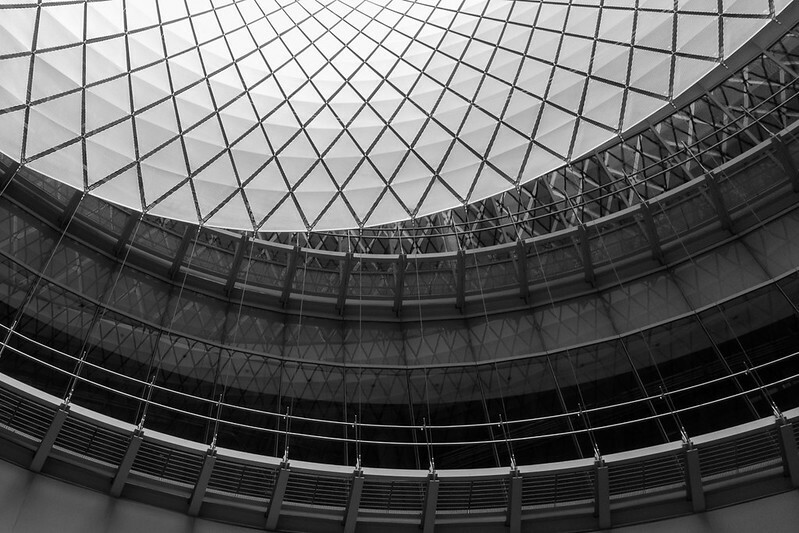 The most striking feature of this building is the huge skylight rotunda on top and on close inspection you can see how the interior “shade” is hung and connected to the building. 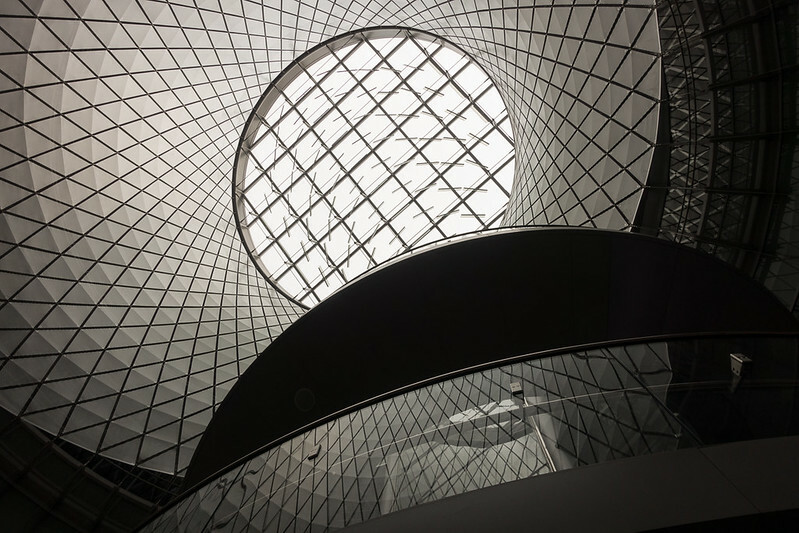 A few of my contacts who live in New York have shot the Fulton Center subway hub in lower Manhattan and their images really appealed to me. Here’s the first image I saw of this building and posted here from Andrew Mohrer: Fulton Center Interior. Here’s a two frame panorama from Cornelis Verwaal: A Commuter Vortex. I love buildings like this so I decided to check it out this past week when we were in New York. I’m glad I did, I took over 200 images with Ricoh GR, Sony RX100 III, and Fuji X100T and I felt like I could have taken many more. There are large, sweeping architectural views here and some great smaller detail as well. The 24mm wide end of the Sony appealed to me the most for the drama of this building and while I took plenty of shots with the Fuji and the Ricoh, the tighter 28 and 35mm angles of view felt constrained. Instead of culling the images and posting them all together as a set which has proven difficult for me, I’ll just go through them and post them as I find the good ones. Not my typical process but it will have to do. 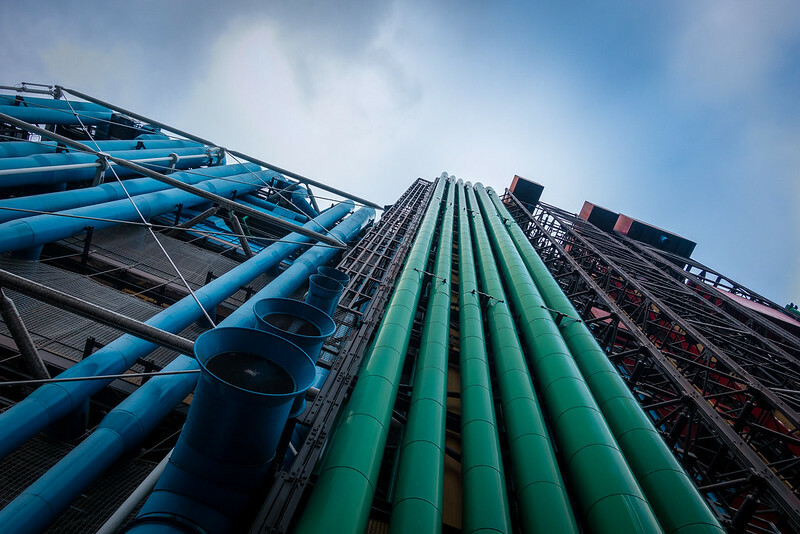 My flickr contact James Beard posted this unusual view of the outside structure of the Pompidou Center in Paris, France taken with a Sony RX100 III. 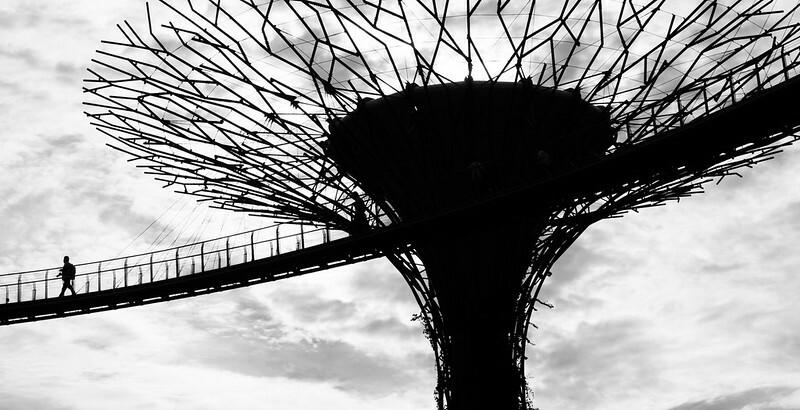 Flickr member John Sonderman posted this great wide angle shot of the Supertree Grove in the Gardens by the Bay in Singapore with his Sony RX100 III.